Welcome to the February 2015 edition of Buzz from the Hub, the newsletter of the Center for Parent Information and Resources—the CPIR. This issue premieres several resources of import to the Parent Center network, most especially the 2014-15 Parent Center Data Collection Form and the latest training module on Part C of IDEA, Introduction to Procedural Safeguards. The rumor is finally reality! The data collection form that Parent Centers use to report on their fabulous work has been revised. The form now includes definitions of key terms, so PTIs and CPRCs will have a common understanding of the data they need to record and report for the 2014-2015 program year (October 1, 2014 to September 30, 2015). Because we’re already midway through the reporting period, this year will be a pilot year for the new form. This gives Parent Centers the opportunity to learn how the terms are defined, what to report where and about whom, and how to revise their data collection systems. We’ve posted the new data collection form and definitions key on a Webinar page we created to house the form, the key to definitions, and the 40-minute webinar we pre-recorded to introduce the form and the definitions key to the network. Come and get ‘em! What’s new in the resource library? Here are several newbies. Overview of the Workforce Innovation and Opportunity Act. WIOA is designed to help job seekers (including youth with disabilities) access employment, education, training, and support services to succeed in the labor market and to match employers with the skilled workers they need. Bureau of Indian Education National Directory. This resource gives Parent Centers a list of Bureau of Indian Education (BIE) funded schools in their state. The BIE is responsible for the 183 elementary and secondary schools located on 63 reservations in 23 states representing 238 different tribes. With this list, Parent Centers can identify which schools are publicly funded or funded by the BIE, in order to help Native American families access their due process rights through the appropriate agency (either the BIE or the state department of education, depending on how the school is funded). New Part C training module: Introduction to Procedural Safeguards. Hot off the press! You can use Module 10 of NICHCY’s training curriculum on Part C of IDEA to acquaint families and other stakeholders with the procedural safeguards in early intervention. The module comes with a slideshow, trainer’s guide, handouts, and an activity sheet for participants. Parent Centers are important stakeholders in the Systemic State Improvement Plan (SSIP) their state is writing. The resources listed below can help support Parent Center informed involvement in discussions of their state’s SSIP. Distinguishing difference from disability: The common causes of racial/ethnic disproportionality in special education. This Equity In Action is intended to provide educators and researchers with comprehensive information on identifying and reducing disproportionality in schools. The brief describes a data-driven process for identifying root causes as well as the driving forces (internal and external to district) of those root causes. From the Metropolitan Center for Research on Equity and the Transformation of Schools at New York University. Impact of family involvement on the education of children ages 3 to 8. This 2013 literature review includes 95 studies on the impact of parent engagement on young children’s literacy, math, and socio-emotional skills. The authors examine the effects of various aspects of parent engagement, including parent involvement at school and schools’ and teachers’ efforts to engage parents. The web-based Family Engagement Tool (FET) guides a school team (including parents) in assessing every aspect of its family engagement programs and practices and creating and monitoring an improvement plan based on indicators of effective practice. The needs assessment phase is completed in about 5 hours by the school team. FET’s two-year process helps the school determine needs, set priorities, develop a plan, monitor the plan, and strengthen the school community. This section of the newsletter identifies useful resources that you might share with families or mention in your own news bulletins. Milestones | Videos in English and Spanish. Milestones is a free online collection of videos aimed at helping parents understand grade-level expectations in grades K-5. Milestones show students demonstrating what success looks like in reading, writing and math, grade by grade. A child with a disability who is younger than 18 years of age may be eligible for Supplemental Security Income (SSI). Have a look at SSA’s Child Disability Starter Kit, which includes a factsheet on the application process, a child disability interview preparation checklist, and a Medical and School Worksheet. Also available in Spanish. Info brief on autism spectrum disorder. The IRIS Center has a new information brief comparing the diagnostic criteria of the DSM-5 to those of the DSM-IV-TR and to the definition of autism found in IDEA. The brief also summarizes research findings regarding changes in the number of individuals diagnosed with autism spectrum disorders when the DSM-5 criteria were used, compared to those same numbers under the DSM-IV-TR. This section of the CPIR’s newsletter focuses on the many priority areas that Parent Centers have, with a special emphasis on the 14 topics that OSEP has identified as important for Parent Centers and the CPIR to address. This month, we’re focusing on effective educational practices for improving student outcomes. These resources may also be relevant in your state’s work on the SSIP in 2015, so keep them in mind for the future. Culturally responsive differentiated instruction strategies. This brief addresses what differentiated instruction is and how it applies to teaching and learning for diverse learners. Differentiated instruction recognizes students’ varying background knowledge, readiness, language, preferences in learning, and interests, and assists teachers in knowing how to differentiate instruction given these various learning areas. From the IRIS Center, these summaries of research about the effectiveness of instructional strategies and interventions contain links to research reports and include information about an intervention’s level of effectiveness and the age groups for which it is designed. Pick your topic of interest—assessment, behavior and classroom management, content instruction, diversity, early intervention/early childhood, learning strategies, mathematics, reading and literacy, RTI, school improvement, and transition. TEP is a 480-student 5th through 8th grade middle school in the Washington Heights neighborhood of New York City. RePublic is searching for passionate, bold, and gritty Directors of Student Supports (Special Education) ready to lock arms with the teams at Liberty Collegiate, Nashville Prep and RePublic High for the 2015-16 school year. Candidates must share our unwavering belief that every child in our school can and will graduate from college. The Director of Student Supports will both own the school-wide Student Supports program and provide classroom support and interventions directly to students. The Director will ensure compliance with IEPs, communicate with families and service providers to keep all stakeholders actively involved, coordinate supports so that students are consistently and meaningfully set up for success, serve students by providing classroom instruction, and coach teachers on how to best reach all learners. Bring it: Arrive at school by 7 a.m., stay at school until 5 p.m., and be reliably present and engaged by bringing your best every day. 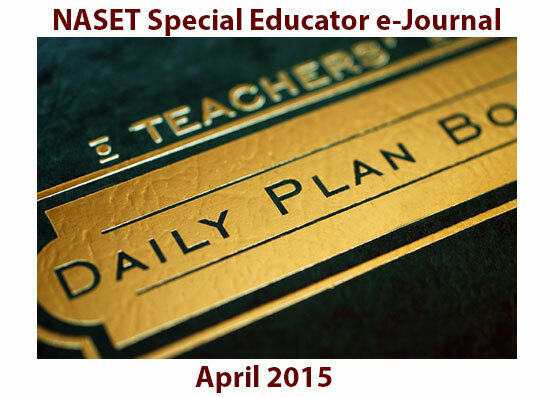 Own your content: Develop and manage a sustainable, compliant, and effective special education program. Reach higher: Consistently lead students to meet the high expectations set across our school for both behavior and academics by faithfully implementing our systems. Clear eyes, full hearts: Dive into all team professional development with an open mind and humility. Joyful rigor: Dynamically lead groups of students in full group classroom learning and smaller guided reading or tutoring groups for targeted interventions. Team and family: Collaborate with teammates in the united purpose of promoting student learning and building student character. Sweat the small stuff: Build and uphold the culture of the school by learning, mastering, and implementing all values, policies, and systems. Never stop learning: Deliver high-quality instruction that propels student achievement, and work with your coach to grow as a classroom leader. RePublic leads public charter schools that reimagine what's possible in public education. In 2013, our two founding schools -- Nashville Prep and Liberty Collegiate Academy -- were the first two charter schools in Tennessee history to reach the top 5% of public schools in the state for growth and performance. This fall, RePublic launched the Nashville Academy of Computer Science, where scholars learn to code starting in 5th grade. Next year, we will open Reimagine Prep -- the first public charter school in Mississippi. In DCPS, 4,000 teachers serve the needs of 47,000 students across 110 schools. As part of a comprehensive reform effort to become the best urban school system in America, DCPS intends to have the highest-performing, best paid, most satisfied, and most honored educator force in the nation whose work drives significant achievement gains for DCPS students. If you have any questions, please email us at dcpscareers@dc.gov, or call us at 202-299-2145. The New School of San Francisco will open our doors fall of 2015 with 88 kindergarten and first grade students from communities across San Francisco. We are a K-12 public charter school, demonstrating a "hands-on, minds-on" approach to learning that harnesses each student's curiosity and encourages learners to construct their own meaning and knowledge through hands-on experiences. With an extended school day, there is explicit time for community building, play, exploration, arts and Spanish instruction. The model is diverse by design, meaning we not only draw students from all neighborhoods in the city, but we practice equity in all we do – ensuring every child is able to access and receive an individualized education that builds off their unique strengths, skills and passions. With a thirteen-year commitment to kids and families, our approach will foster a deep love of learning in students and prepare them with the problem-solving and critical-thinking skills necessary to meet the challenges and opportunities of the 21st century. To learn more about our school, please visit:newschoolsf.org. One of the pillars of our school is diversity and we know how important it is that our staff to reflect the diversity of our students and their families. We strongly encourage leaders and teachers of color and LGBTQ candidates to apply. The Learning Specialist is a full time position that reports to the Director of Curriculum & Instruction. 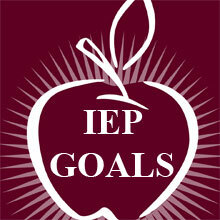 He/she will work directly with all Lead and Resident teachers to ensure every child's unique needs are being met through IEPs or Individualize Learning Plans (ILPs). The Learning Specialist will develop learning strategies and modifications to be implemented both within the classroom and in small groups outside of the classroom. S/he will administer or coordinate the administration of appropriate assessments that align to IEP goals and school values to monitor progress. We are looking for someone with deep special education expertise, knowledge of effective ELD strategies and other, targeted interventions to ensure all special learners are being met with the right supports. The Learning Specialist will be responsible for helping our school in its founding years develop appropriate procedures and policies to ensure effective faculty collaboration, create a transparent and inclusive environment for families and ensure we are compliant at all times with the law. Finally, we are looking for someone who will bring their passions, identities, curiosities and quirks into the school each day; who is excited to work in a start-up environment; who teaches to learn and fuel more learning; who teaches to build bridges with students, families and the community; and finally, who teaches to change lives and the world around us. Please visit our website: www.newschoolsf.org/careers/ for a full job description including qualifications and requirements. Develop, coordinate and facilitate the implementation of strategic and action plans intended to accomplish that vision and mission, and specific goals and objectives. Build relationships with other agencies offering support in the community to students diagnosed with autism. Partner with local and international universities in the development of effective practices. Oversee the development of the school's educational programs in regard to curriculum and instruction and make recommendations for instructional improvements and adjustments. Supervise and evaluate administrative, instructional, and non-instructional personnel in the business management and instructional activities of the institution. Prepare and administer the school's operational budget. Develop and maintain good public relations with parents, parent-teacher association(s) and with the community. At least 5 years of experience as head of school or special education Director, working in a special education environment that focuses on the delivery of educational services to students diagnosed with autism. A strong academic background, including a minimum Master's degree in the field of special education, preferably a doctorate in a related field. Skill and understanding in serving second language learners. The salary and benefits package will be competitive and will depend on the qualifications and experience of the successful candidate. UC Clermont invites applications for tenure-track faculty position beginning August 15, 2015 unless otherwise indicated. UC Clermont is an open admissions regional campus thirty miles east of the University of Cincinnati in Batavia, Ohio with an enrollment of approximately 3,500 students. The college offers a variety of certificates, transfer programs, two-year technical degrees, and a baccalaureate degree. Tenure-track faculty responsibilities include teaching 12-credit hours for two semesters and availability for both day and evening classes, unless otherwise indicated; ongoing scholarship/research; and service to the department, college, university, and community. All candidates must demonstrate/provide evidence of effective teaching and professional development. All candidates must have appropriate degrees and/or certifications awarded by time of appointment. Assistant Professor of Education - Position 215UC0317: Responsibilities include teaching day and evening classes in an education program that caters to the needs of Early Childhood, Middle Education, Secondary Education, and Special Education degrees, along with four office hours per week. Required Qualifications: Earned doctorate in the field of Education with a minimum of one year of public school teaching and one year equivalent college teaching. Preferred Qualifications: Special Education and/or Education Psychology and teaching experience in an open access environment. All positions require a cover letter, current CV, official copies of transcript for highest degree held required prior to interview (these can be mailed), three names of professional references (include contact information), a brief statement of teaching philosophy, and a summary of evidence of excellent training, teaching effectiveness and professional development. The University of Cincinnati is an affirmative action/equal opportunity employer/ M/F/Vet/Disabled. UC is a smoke-free work environment. Genesee Lake School is an accredited, nationally recognized leader providing therapeutic educational services to children and adolescents diagnosed with developmental disabilities and emotional/behavioral disorders. We have received the National Association of Special Education Teachers (NASET) award for three consecutive years. Join our team and become an important person in the lives of our students. Our 160-acre campus in the countryside near Oconomowoc provides an ideal setting for our students to learn, develop and achieve their potential. Previous training and experience working with children with Autism or Emotional Disabilities preferred. Candidates should be prepared to articulate how they support students' learning as well as participate in a collaborative school-based team. or apply online at www.geneseelakeschool.com. The Assessment Program at the American Institutes for Research (AIR) is a well regarded organization that is growing rapidly. We focus on providing our clients with customized assessments that not only measure student achievement against state standards, but also provide meaningful score reports that can help students, parents, and educators address any areas of student weakness. Our environment is fast-paced and requires people at all levels who are willing to roll up their sleeves to get the work done on time while maintaining high quality. We are currently seeking a Program Manager to join our Alternate Assessments team in Washington, DC. The Program Manager (Alternate Assessment) will assist with managing all aspects of state testing projects, especially for special education students. They must be able to work collaboratively in a fast paced environment; anticipate problems and come up with creative methods of solving them; develop strong, positive, constructive relationships with clients; coordinate among the various project teams; and make sure that quality control procedures are adhered to in order to produce high quality assessments within deadline and budget. They must be able to work in an environment where project requirements often change and evolve, and must be comfortable seeking out information and advice, when necessary. They must be able to conceptualize how all the parts of a complex project fit together and what a change to one part will mean for the other parts. Successful candidates will create a proactive culture in which the efficient creation of high quality products is second nature. Experience instructing students (K-12) with significant cognitive disabilities in academic content areas. Ability to travel 25-40%, the peak being in the January-February timeframe. Experience working in large-scale assessment or a related field, such as publishing or large-scale surveys is a plus. AIR offers an excellent compensation and benefits package, including a fully funded retirement plan, generous paid time off, commuter benefits, and tuition assistance. For more information, please visit our website at www.air.org. Easter Seals Hawaii, a growing CARF accredited Non-Profit, is committed to provide exceptional, individualized, family- centered services to empower people with disabilities and other special needs to achieve their goals and live independent fulfilling lives. We have been providing services to infants, children and other special needs, and support to their families since 1946. The Early Intervention Program Director is a Senior Staff member responsible for the leadership and operation of Easter Seals Hawaii statewide Early Intervention Programs, providing services to children birth to age three (3). The Program Director represents ESH at the State and National level, has responsibility for fiscal/financial management, building and enhancing of existing programs, research and implementation of new programs/services statewide and continued focus on ensuring quality CARF Accredited Services. We are seeking an experienced, successful leader to fill this Senior Management Position. Experience in successfully leading Early Intervention Programs is preferred. Leads and supervises statewide El Program Managers who oversee all early intervention programs and services. Facilitates and promotes effective communications and coordination, to include development and maintenance of all policies/procedures, including program regulations, contracts and CARF (Commission on Accreditation of Rehabilitation Facilities) requirements. Supports managers in overseeing departmental fiscal/financial responsibilities to include billing, reporting and annual program budgets. Represents Easter Seals Hawaii in Early Intervention committees with Department of Health, contractual agencies statewide and national. Responsible to develop program managers and facilitate staff development and training to remain current and in their fields and delivering the highest level of service to clients/families. Responsible for leading Program Managers and holding accountable for partnering with Human Resources in recruitment, orientation, training, counseling, disciplinary action, performance reviews and salary administration of staff. Supports managers in coordinating volunteer opportunities and student practicum for university/college and high students as they participate in training programs established with their educational institutions. Establishes and maintains cooperative and collaborative relationships with community agencies, public relations, legislative advocacy, education, community relations and internal ESH programs regarding information and referrals. Responsible to lead and participate in events and fundraising for the organization. Bachelor's degree in health related field. Master's degree highly preferred. Three (3) to five (5) years of progressive experience working with persons with disabilities in early intervention and/or children age birth - 5 years of age. Experience managing statewide locations and multiple governmental contracts/grants. Business experience in contracts, billing, budgeting, purchasing, data gathering and research. Legislative advocacy, grant writing and administration, contract negotiation/administration preferred. Attention: Human Resources Manager 710 Green St.